Donald Trump on Thursday called on the New York Times to reveal the name of the "coward" who wrote an explosive, anonymous article that has plunged his presidency into its worst crisis yet. The White House has been convulsed by a fevered hunt for the senior official who declared, in an unsigned article for The New York Times published Wednesday, that "unsung heroes" were quietly working within the administration to frustrate the president's "worst inclinations." "Nobody knows who the hell he is, or she," Trump told supporters at a rally in Billings, Montana, adding: "Unidentified deep state operatives who defy voters to push their secret agendas are truly a threat to democracy itself." Invoking national security concerns, Trump said the paper should publish the official's name, before encouraging reporters to investigate the matter. "That would be a good scoop!" he said. 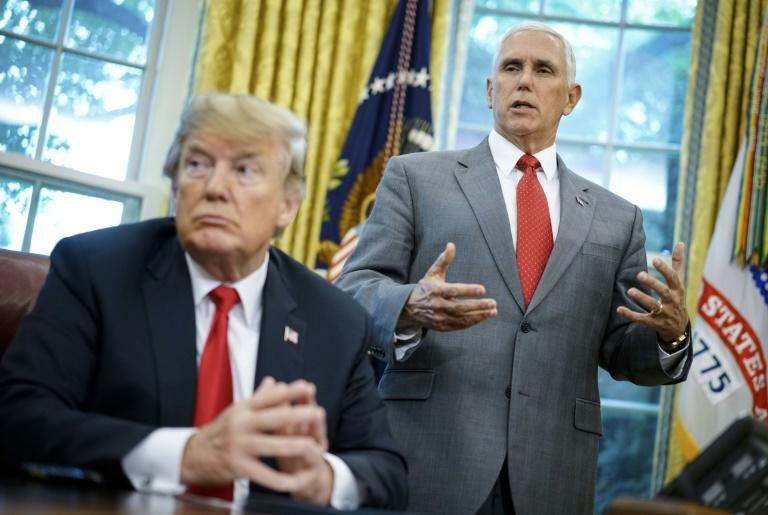 Vice President Mike Pence, Secretary of State Mike Pompeo, Defense Secretary Jim Mattis and Director of National Intelligence Dan Coats were among those who issued denials. "The Vice President puts his name on his Op-eds. The @nytimes should be ashamed and so should the person who wrote the false, illogical, and gutless op-ed," Pence's spokesman Jarrod Agen wrote on Twitter. "Our office is above such amateur acts." The manifesto followed the release of excerpts from a bombshell book by Watergate reporter Bob Woodward, who portrayed Trump's White House as an out-of-control "crazytown." 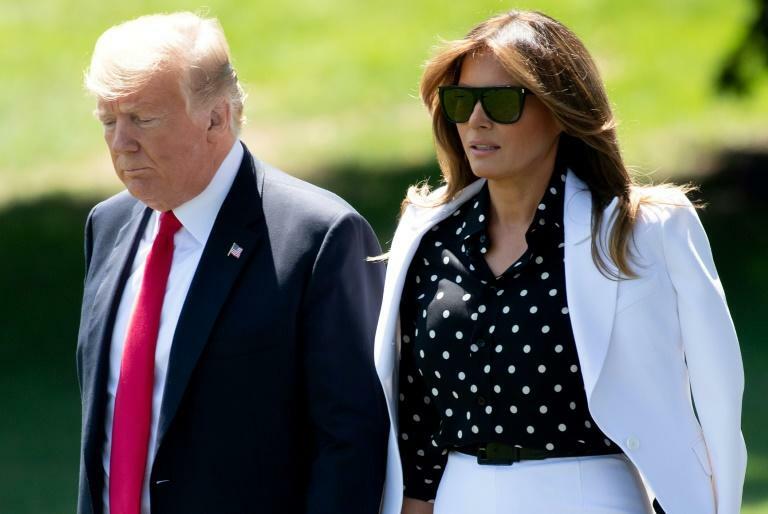 Trump responded with a furious volley of tweets that asked if the author had committed treason while First Lady Melania Trump condemned the decision to publish. "To the writer of the op-ed -- you are not protecting this country, you are sabotaging it with your cowardly actions," she said. The Woodward book, "Fear: Trump in the White House," reported that senior aides lifted documents from the Oval Office desk to keep the president from acting on his impulses, reinforcing the assertions in the Times article. 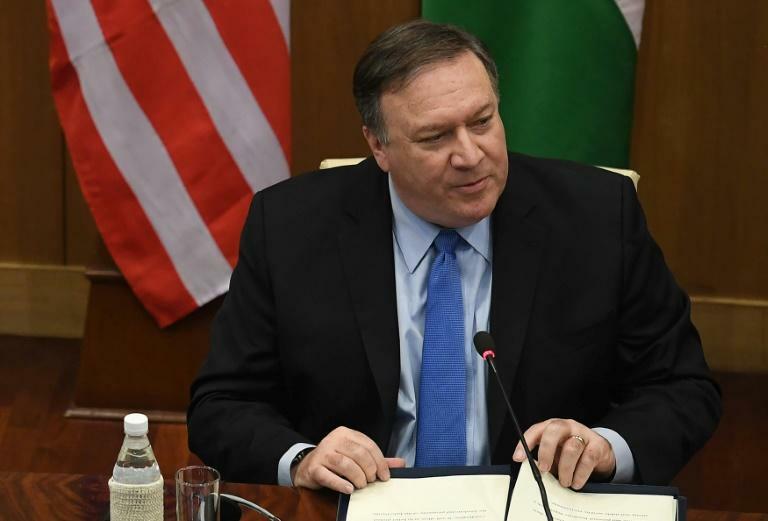 The firestorm caught up with Mattis and Pompeo in New Delhi, where the Secretary of State denounced the Times' decision to publish as "sad" and "disturbing." "I come from a place where if you're not in a position to execute the commander's intent, you have a singular option, that is to leave," he said. Both men denied involvement, while Coats, who as intelligence chief has at times been publicly at odds with Trump, said in a statement speculation that he or his deputy had written the op-ed were "patently false." When asked if she wrote it, UN envoy Nikki Haley responded with a curt "no" on her way to a Security Council meeting. In one eye-opening passage, the writer says cabinet members initially considered invoking the 25th Amendment of the US Constitution, which provides for the president's removal if he is "unable to discharge the powers and duties of his office." "If senior administration officials think the president of the United States is not able to do his job, then they should invoke the 25th Amendment," Warren told CNN. Trump meanwhile has called for the article's author to be unmasked. "Are the investigative 'journalists' of the New York Times going to investigate themselves - who is the anonymous letter writer?," he tweeted ahead of a rally in Montana. The Times acknowledged the "rare step" of publishing an anonymous editorial but said the official's job would be jeopardized if they were identified. The piece described a "two-track" presidency in which Trump says one thing and his staff consciously does another, citing the president's alleged preference "for autocrats and dictators." "The root of the problem is the president's amorality," the official said, denouncing Trump's "impetuous, adversarial, petty and ineffective" leadership style.